It’s great to be in a position to facilitate the opportunity for an artist I respect to exhibit work they wouldn’t normally make. I’ve know for many years now that Philipp Scholz Rittermann is an exceptional photographer with an impeccable eye for detail. As would be expected, being a photographer, Philipp is used to making flat work. However, I had a feeling that he was itching to take his work off the wall and into a more three dimensional realm. I had no idea what to expect when I asked him to take a shot at making a site specific piece for ICE Gallery, but I trusted that he could come up with something interesting. 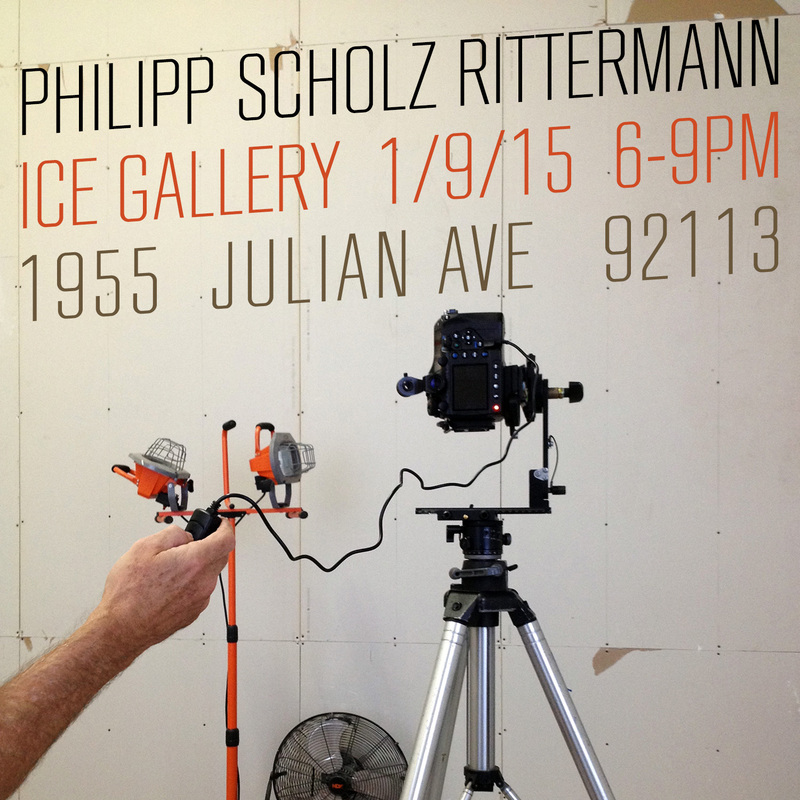 Please join us Friday January 9th from 6-9pm and participate in an immersive site conditional photographic installation. Can you please put me on your email list so I will know when your next opening is?